Shivpal Yadav on Friday held a brief meeting with Uttar Pradesh Chief Minister Akhilesh Yadav in an attempt to settle the Samajwadi Party in-fighting before election commission gives the decision on their feud on January 9. 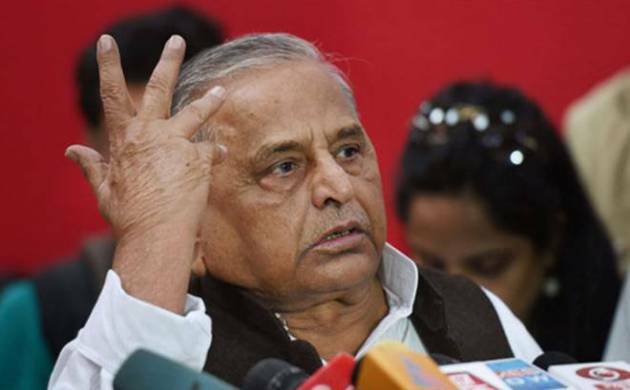 The election commission has asked the two factions of Samajwadi Party to end fight and settle matter before the said date or else it will freeze their election symbol, leaving the party in major debacle days ahead of Uttar Pradesh assembly elections in Feb-March, this year. The Friday meeting, as per reports, did not yield any results as both Akhilesh and Shivpal refused to budge from their stand or conditions of settlements, ending the meeting within 5 mins. The ongoing feud within the Samajwadi Party doesn't seem to die down with Mulayam Singh Yadav and Akhilesh Yadav continuing their attempts to claim ownership of the ruling party even as further efforts are still being made for a rapprochement between the warring factions led by the father-son duo. The efforts to resolve the issue ahead of the crucial assembly elections seem to go one step forward, two steps backward, and one step to the side. It is clear that both the factions have truce on their minds but at the same time they want to stick to their stand as well. Alliance with Congress on cards? There are also talks of a possible alliance between the SP and the Congress. If Akhilesh decides to go on his own, he might attempt to forge an alliance with Congress but that too will materialise if the chief minister gets hold on the party and its symbol.